To win a copy, e-mail in the the names of every previous Xzibit album with your name and address. Good luck! 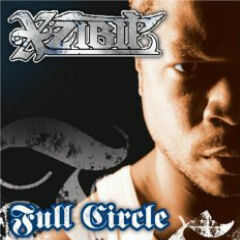 Xzibit’s CD Full Circle had some really great lyrics in several songs like “Concentrate” and “Thank You”. The songs tell a lot about his character as a human being in that he is grateful for opportunities he has been given. In “Concentrate” he invites all of us to take advantage of opportunities that come along in our lives. Xzibit encourages us to focus on them when they come.